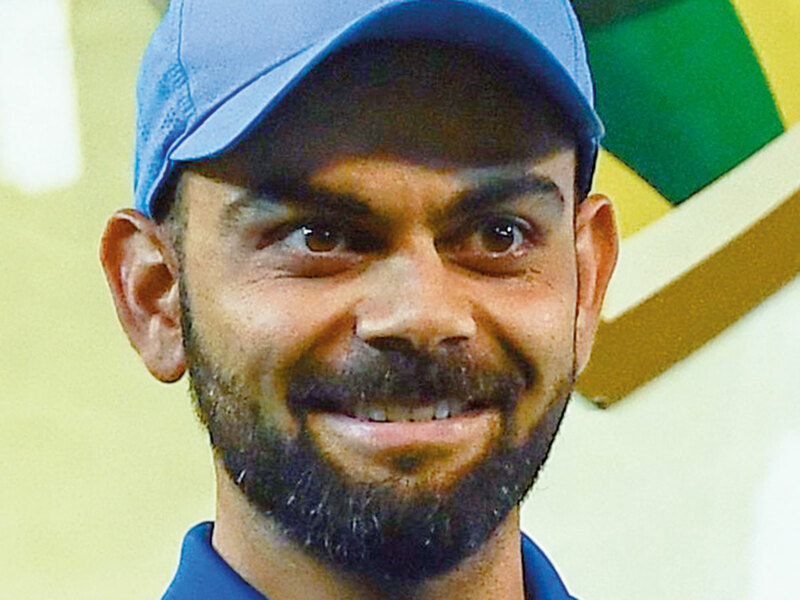 New Delhi: That Virat Kohli is destined to be among the pantheons of all-time greats is an oft-repeated assertion but for former Australia captain Michael Clarke, the India skipper is already the “greatest ODI batsman to have ever played the game”. Kohli, the world’s no. 1 Test and ODI batsman, led India through a historic tour of Australia, during which the team won the Test and ODI rubbers and drew the T20 International series. Kohli’s India was the first team ever not to lose any series Down Under and along the way, he continued to add to his rapidly rising count of international hundreds. “To me, Virat Kohli is the greatest batsman to have ever played one-day cricket. I have no doubts after seeing what he has achieved for India,” Clarke, himself a former World Cup-winning captain, said in an interview. Kohli has already scored 10,385 runs in 219 ODIs with an astounding average of 59 plus, including 39 hundreds. An unabashed Kohli fan, Clarke said that the 30-year-old Indian’s passion is unmatchable. “You have to respect Virat’s passion to win games for his country. Yes, he has aggression but no one can question his commitment, how much he has achieved. He is the greatest in ODIs,” Clarke said. Dhoni’s style of batsmanship in ODIs, no longer as aggressive as it used to be, has been a matter of concern but for Clarke, the 37-year-old former India captain should be left alone to play his game. “MS knows how to react to any given situation. He has played 300-plus ODIs so he knows how to go about his job,” Clarke said. But would Dhoni have been as effective as he was in the third ODI against Australia if the target would have been 330 instead of 230? “I think he would have played differently. It was 230 and he had a particular strategy and it would have been different if the target would have been bigger,” he said. “Look at his approach in the second game in Adelaide and the third game in Melbourne. It was different,” Clarke said. Clarke, however, made it clear that the currently suspended Hardik Pandya would play an important role for India going into the World Cup in England. Pandya faces, as of now, an uncertain future owing to his much-condemned sexist remarks on a TV show. “A talented player like Hardik is very necessary for the balance of the side. He can win games alone with his batting and I am confident he will be in that World Cup squad,” Clarke sounded confident. While he didn’t speak about the Pandya-KL Rahul controversy but Clarke looked at the bigger picture about professional sportspersons being role models. He stressed on the aspect of “respect”. Asked if a lot of money is making youngsters go haywire in their conduct, Clarke gave his insight. “How much money you have earned is irrelevant because most important thing is to earn and give respect. I think it all starts with how you have been brought up. “Respecting every individual is very important. It starts with respecting elders regardless of profession,” Clarke, who has been a chip of the old bloc when it comes to traditions, said. But former batting mainstay also spoke about the need to not make one “mistake” the focus of somebody’s career. “Professional sportspersons are role models, recognised and they have a responsibility. Having said that, everyone makes mistakes and one needs to move on and learn from them,” said Clarke, who played 115 Tests and 245 ODIs for Australia. Asked if India are favourites to win the World Cup, Clarke said, “Certainly one of the favourites with the kind of bowling talent India have at the moment. The batting was always strong and they also have wonderful young spinners. What has impressed Clarke is the fact that India doesn’t have any “apparent weakness in the bowling department”. “Jasprit Bumrah is a skilful bowler who is improving every day. He continues to get better with his seam, swing, and pace. He is the best death bowler in ODI cricket at the moment,” said Clarke. However, the cricket analyst in him also feels that England will be a very difficult team to beat at home. “England is a very good ODI side and will be hard to beat at home. Also, I would like Australia to be in the mix. Australia will get better when the frontline pacers including Nathan Coulter-Nile come back,” explained Clarke. Talking about Australian cricket, Clarke is hopeful that things will change for the better very soon if there is good leadership (not captaincy). “There is plenty of talent in Australian cricket. We have good young players playing Sheffield Shield. They still believe Test cricket is the pinnacle,” he said. But he offered a word of caution too. “A lot of hard work is needed and good leadership, which can select the right guys, back them and give them time to perform,” he said.